Forgot your password? You can reset your password. 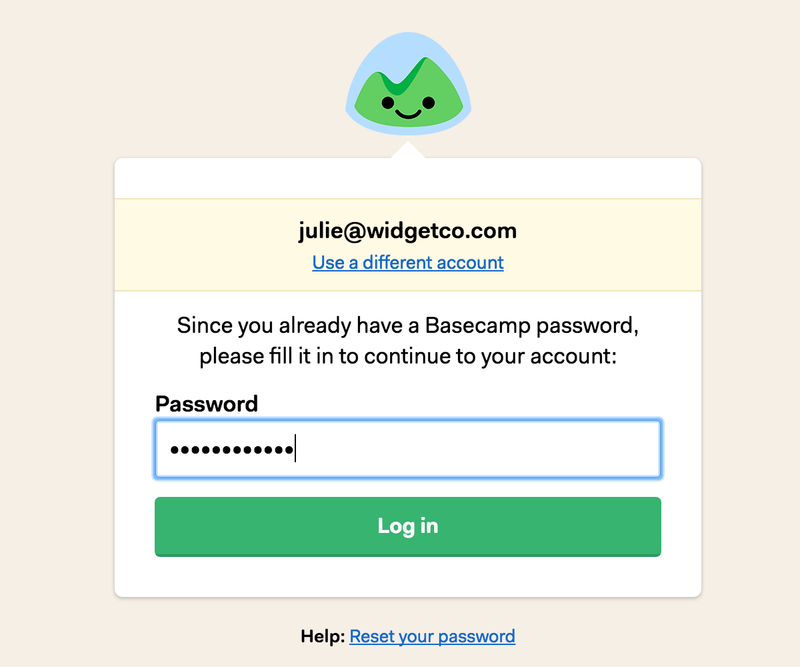 In Basecamp 3, there are a few ways to log in, depending on how you set up your account. No matter the method, you can always start by clicking the Log in button at the top right of basecamp.com. Or you can click here to sign in now. If you're already logged in, you'll be taken straight to your account. If you're not currently logged in, you'll be asked for your email address and password or Google Account information. Seeing an error message when you attempt to login? Here's how to get into Basecamp and back to work! Sorry, we don't recognize that email or username. This means the email address you entered is not linked to a Basecamp account. Check for Typos. Double-check to make sure that every - or . or letter included in your email address is entered correctly. Try another email address. 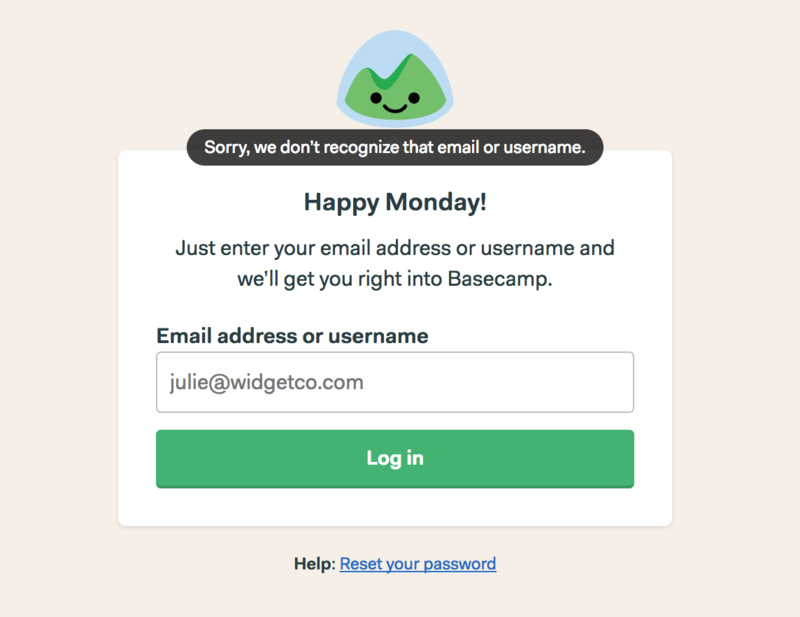 If you have more than one, it's possible you use another email address for Basecamp and forgot! 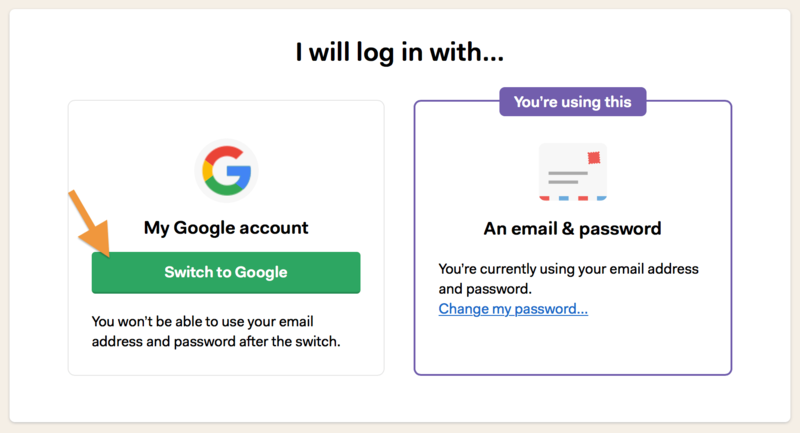 Once you login, you can always update your login to the email address you prefer to use going forward. Accept your Invitation. If you don't remember setting up a login for Basecamp, you may still need to accept your invitation to join a Basecamp account. Reach out directly to someone already on the account and ask them to resend it! First time using Basecamp? Sign up for a new account instead. To join someone else's account, ask them send you an invitation. We didn’t recognize that password. Reset your password. Send yourself a password reset email. Be sure to check your Spam folder if you don't receive that email after a few minutes. Another browser. If you keep receiving this error message after successfully resetting your password, it could be your browser. To test this, try a different browser. If your new password works there, clear the cache and cookies in your regular browser. Check out our guide for creating and protecting strong passwords for Basecamp, and everywhere else you go on the web! 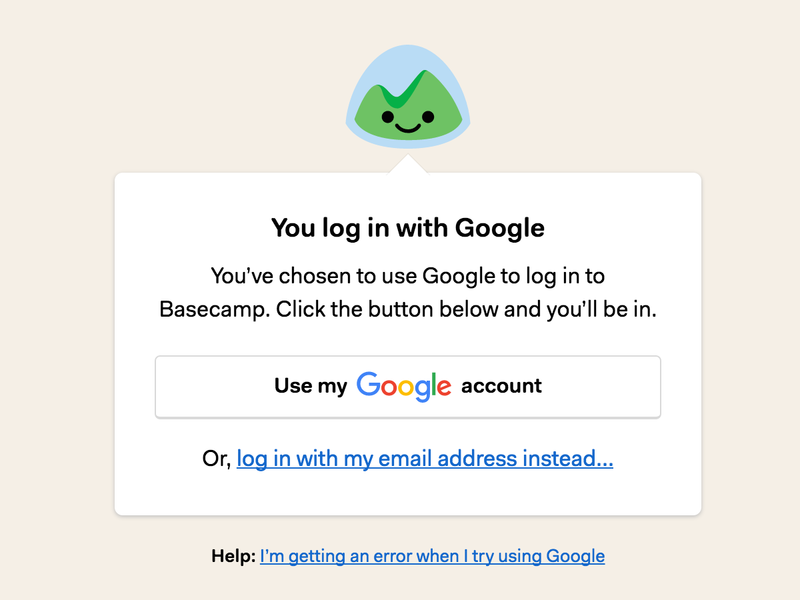 If you've created a Basecamp password before, and you aren't using Google to log in, we'll ask for your password. 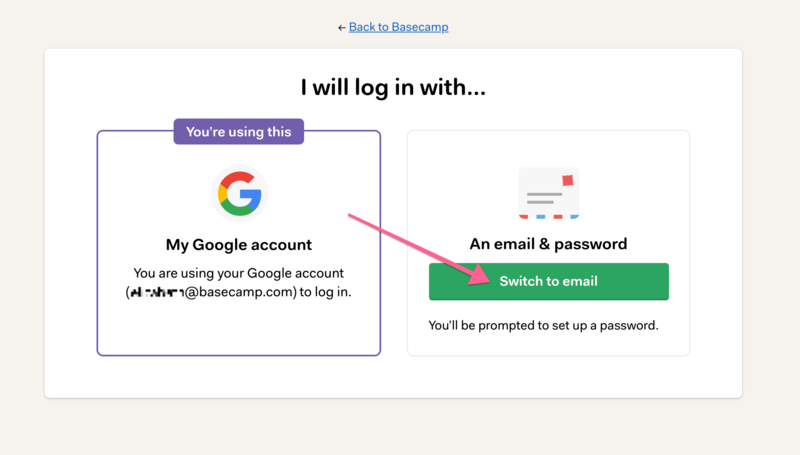 Click the Log in button at Basecamp.com and enter your username and password. From there, you'll be taken into your Basecamp account! If you've chosen to log in with Google (more on that in a moment! ), you'll be shown a big Use my Google account button. Click that and you're in! If you need to change the way you log in to Basecamp - that's easy! Go to the Change my login page. From there, adjust your settings and choose the way you'd like to login! 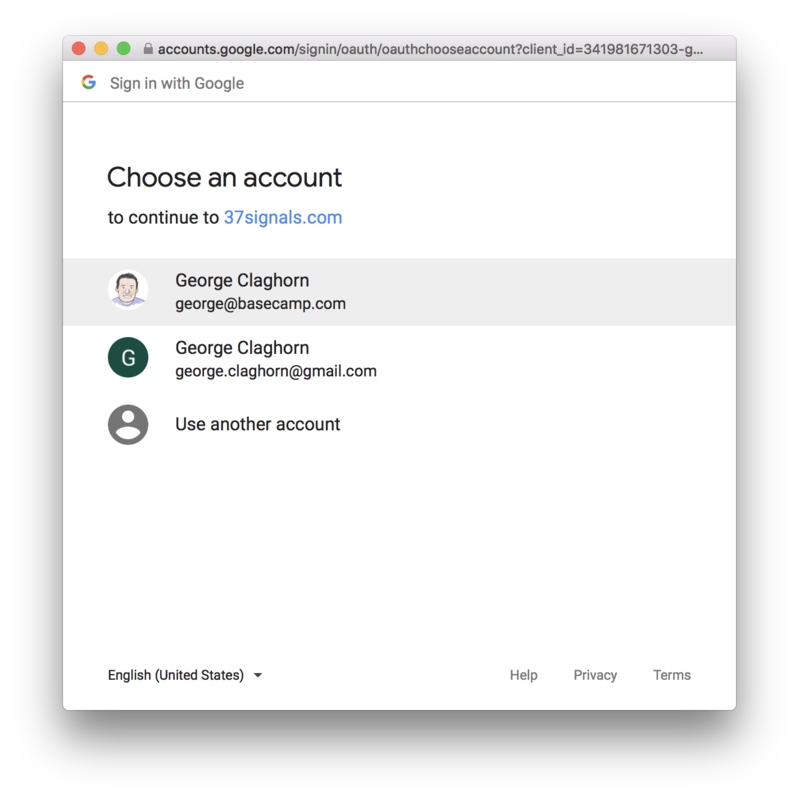 You can set up Google sign-in or change your password. Want to stop using Google to log in? 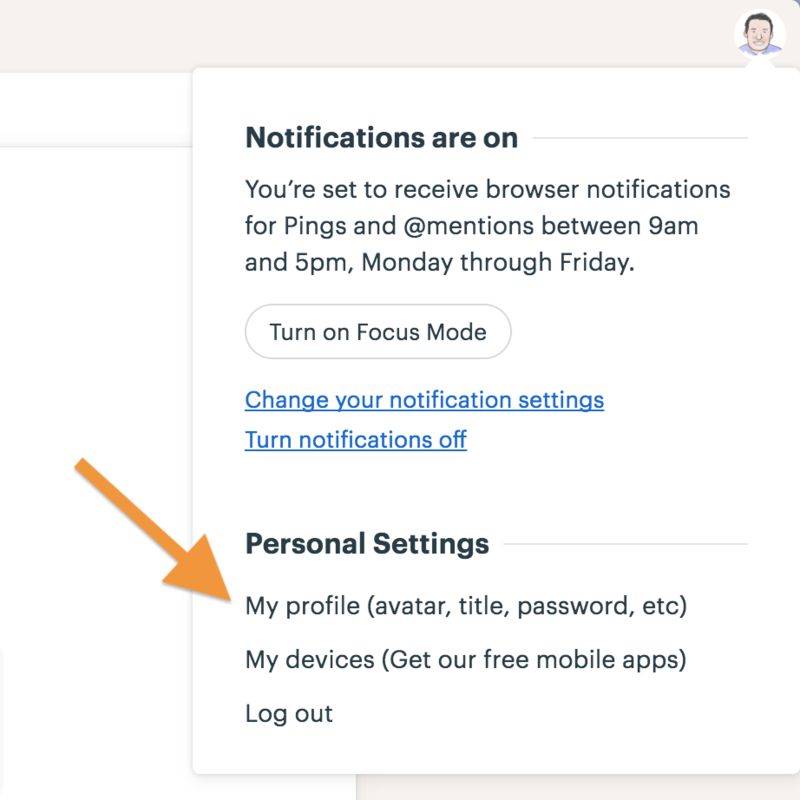 Head back to your avatar, click on My Profile, and then on the link at the bottom to Change your login info here. On the next page, choose the option to "Switch to email." 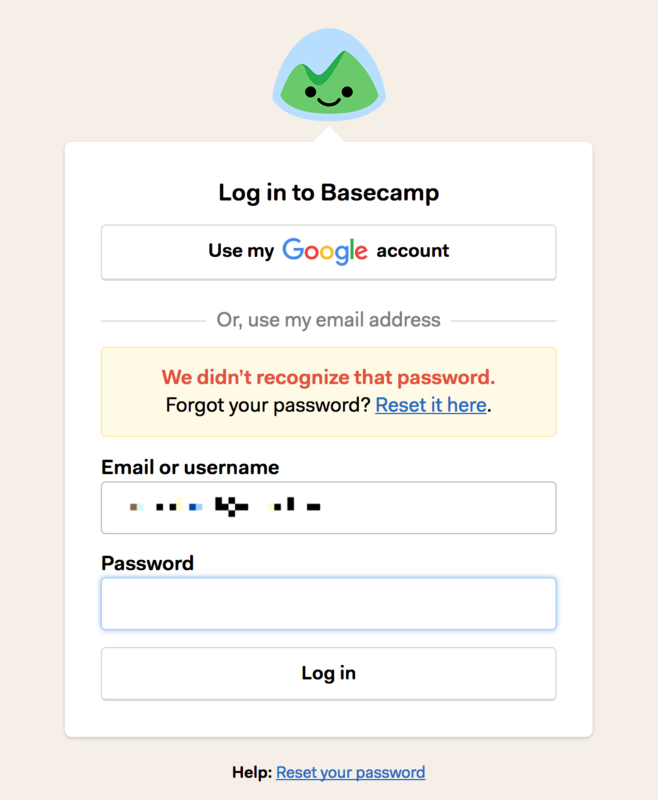 Never created a password for Basecamp, but you want one? No problem! You can create a password by sending yourself a password reset email. Once you create a password, you'll be asked for it when logging in.